Macular Pigment protects the macula from free-radical damage caused by blue wavelength light. A risk factor for developing AMD is low Macular Pigment Optical Density (MPOD). 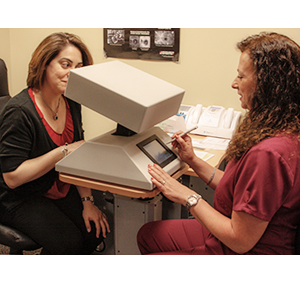 There is now a device called the Densitometer that measures MPOD, the relative health of your macula. The macula is the sight-sensing center in the back of the eye. The three major components of the tissue are the carotenoid pigments Meso-zeaxanthin, Zeaxanthin and Lutein. On the surface, one’s macula may appear healthy. However, if the levels of the carotenoid pigments are low, this may predispose one to developing AMD. By measuring MPOD, we can now identify at risk patients. 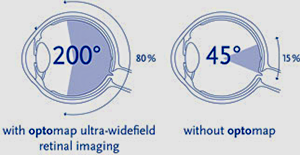 Low MPOD is a modifiable risk factor for the development of AMD. Risk reduction can begin now, even if you are in your twenties. You have come to expect An Eye to The Future to offer you the latest in technology to preserve your vision. 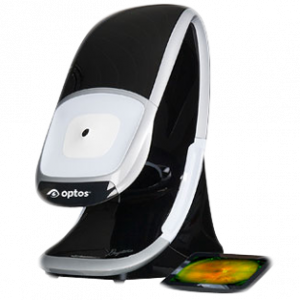 Our office has now obtained the absolute latest innovation….the OPTOMAP Ultra-widefield Retinal Imaging System. This is our preferred way of evaluating the retina. 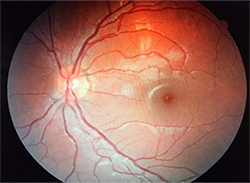 It is a wide-angle digital image so that we can see your retina all at once. 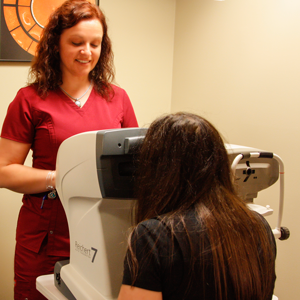 Our doctors can zoom in and move the image around and change the lighting so that we can study any imperfections that can be found on the inside of your eye. 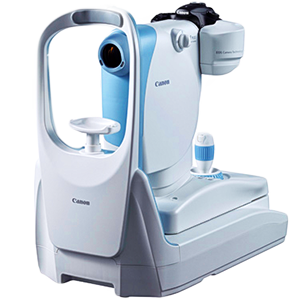 With the OPTOMAP We can obtain a scan that will show us any retinal problems that might indicate diabetes, hypertension, glaucoma, tumors, retinal detachments or other retinal defects requiring care. 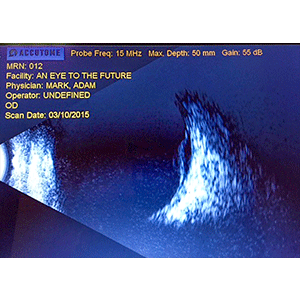 The unique OPTOMAP ultra-widefield view helps us detect early signs of retinal disease more effectively and efficiently than with traditional eye exams. 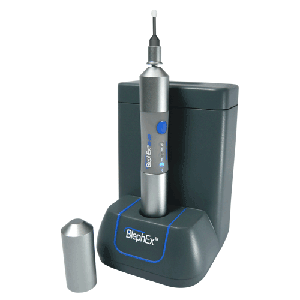 Bleph Ex is a handheld instrument for in-office treatment of blepharitis and dry eye caused by clogged meibomian glands. This is a brand new approach that cleans the lids and opens the glands often occluded causing dry eye and blepharitis. WE are proud to have been one of the first to institute this into our practice. Edging Machine – to fabricate glasses – The Excelon 7000 series edges all lens materials including glass, plastic, hi-index, polycarbonate, and Trivex® as well as edge polish bevels and flats with unmatched speed and accuracy making it our highest performance and most user friendly lens edging system. The optional 3-Dimensional drill makes it possible to create virtually any lens hole you need, with simple drag and drop options via the integrated user-friendly touch screen. The iVue is a portable, powerful, and simple SD-OCT. 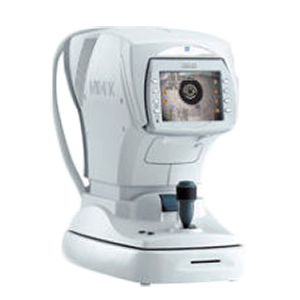 The iVue SD-OCT offers the same scanning speed and resolution as the larger RTVue OCT, that includes scanning and reports of retina, retina nerve fiber, and cornea assessment by the clinician.OCT is used to measure glaucoma, macular degeneration, retinopathy and macular holes. 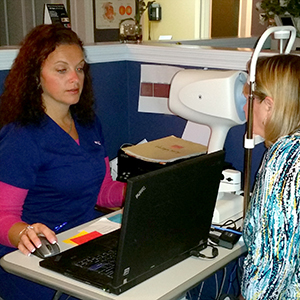 Our doctors use the high-definition scans to better explain your vision and any problems you may be experiencing. 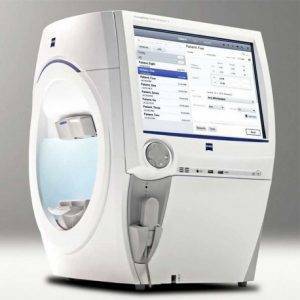 The Humphrey Field Analyzer 3 is the most technologically advanced field analyzer for glaucoma diagnosis and management. 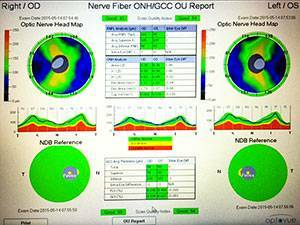 Not only can it help to detect early glaucoma, but it is critical to managing glaucoma progression. It is the gold standard in perimetry and helpful in the diagnosis of many other conditions including brain tumors and strokes. 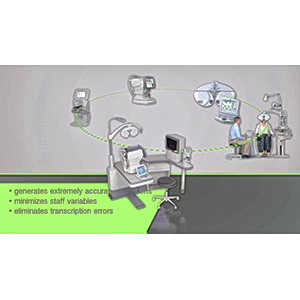 With Diopsys NOVA-VEP and Diopsys NOVA-ERG An Eye to The Future can measure the communication between the visual system and the brain utilizing electrophysiological technology. 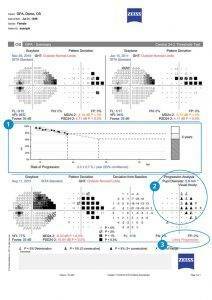 Visual Evoked Potential (VEP): VEP measures the electrical activity in the vision system. When light from an image enters your eye, it is converted into electrical energy at the retina and travels through the optic nerve to the visual cortex of the brain which processes vision. 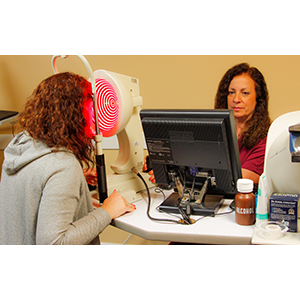 The Diopsys® NOVA-VEP test measures the strength of the signal reaching your visual cortex and how fast it gets there.The VEP technology in the Diopsys® NOVA device helps determine how your eyes communicate with your brain in a way that no other instrument or vision test can. 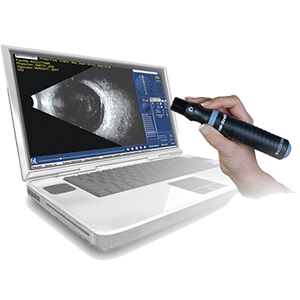 The B-Scan Plus’ software combined with unique probe electronics make it the only portable High Definition B-Scan. 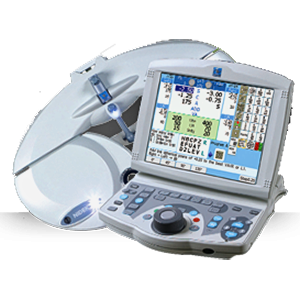 The results are a reliable and easy-to-use unit, which can quickly scan patients and transport information. 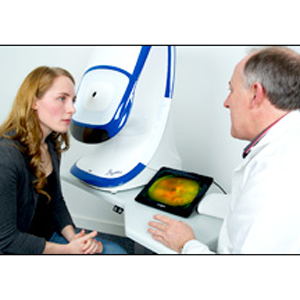 The B-scan helps the doctor see the space behind the eye that can’t be seen otherwise. Cataracts and some other conditions make it difficult to see the back of the eye. 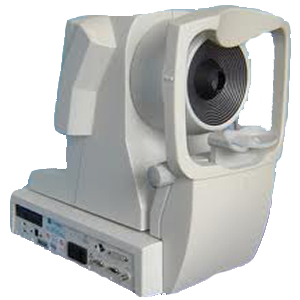 The B-scan also aids in the diagnosis of tumors, retinal detachment, and other conditions. The corneal endothelium is a single layer of cells on the inner surface of the cornea. 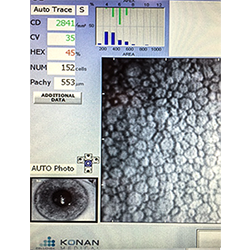 It faces the chamber formed between the cornea and the iris.Cell counts have been used to evaluate a wide variety of procedures, Examining the corneal endothelium at a magnified level yields important information that guides the physician’s decision-making process when managing a corneal disorder. 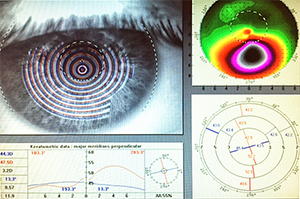 Corneal topography is a process for mapping the surface curvature of the cornea, similar to making a contour map of land. The cornea is a clear membrane that covers the front of the eye (See Anatomy of the Eye) and is responsible for about 70 percent of the eye’s focusing power. To a large extent, the shape of the cornea determines the visual ability of an otherwise healthy eye. A perfect eye has an evenly rounded cornea, but if the cornea is too flat, too steep, or unevenly curved, less than perfect vision results. 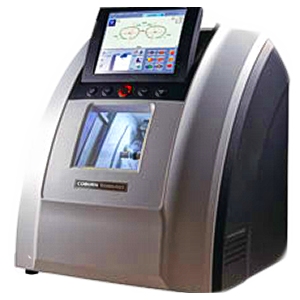 The purpose of corneal topography is to produce a detailed description of the shape and power of the cornea. 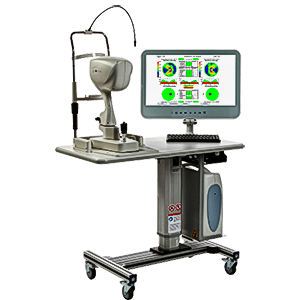 Using computerized imaging technology, the 3-dimensional map produced by the corneal topographer aids an ophthalmologist in the diagnosis, monitoring, and treatment of various visual conditions. 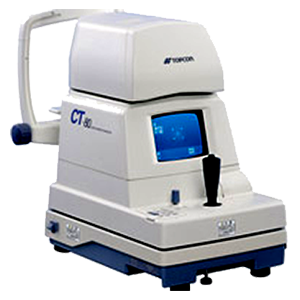 Reichert’s seventh generation non-contact tonometer, which, equipped with TOUCH-SCREEN CONTROLS, has the FULLY COMPUTER-AUTOMATED CAPACITY to quickly align with the eye and accurately determine one’s intraocular pressure. Elevated eye pressures are affiliated with glaucoma. 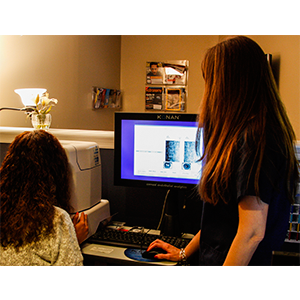 Using an automated, computerized refracting system, we can determine the best prescription for you. 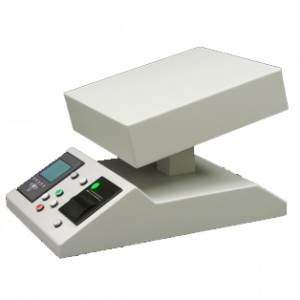 The TRS-5100 replaces the standard refractor and allows our doctors to control the refraction process through the keypad. 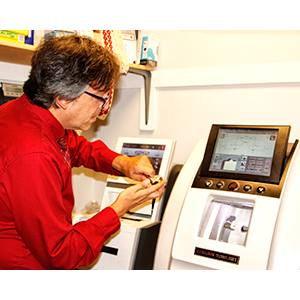 With the TRS-5100 we are able to instantly compare the new prescription to the old prescription. 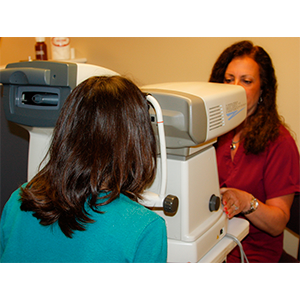 Retinal Photography lets us scan your eyes and produce detailed digital images of your retinas. 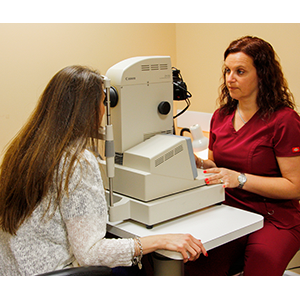 The images can be studied to check for abnormalities and saved in your medical record to compare the condition of your retinas from year to year. Age-related Macular Degeneration, Cancer, Diabetic Retinopathy, Glaucoma, Hypertension (High Blood Pressure), Retinal Detachment. 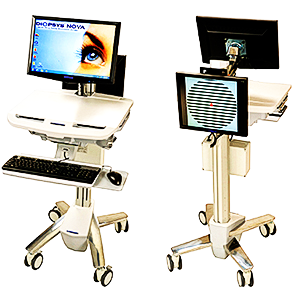 An eye to the Future uses a very accurate auto-refractor-keratometer in the assessment of vision, contact lens fitting and various diseases of the cornea and inner eye structures.The new ergonomically designed ARK-560A has several enhanced features including an advanced SLD (Super Luminescent Diode) making measurement of patients with cataracts and IOLs possible, incorporating a Zonal Ring Image Method. 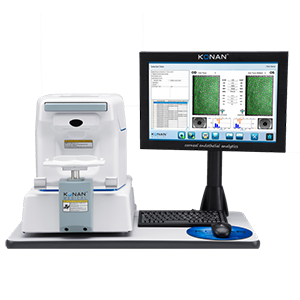 Combining a sensitive CCD, fully automatic alignment, tracking and focusing the ARK-560A insures the most reliable and repeatable data for refractive measurements and keratometry.